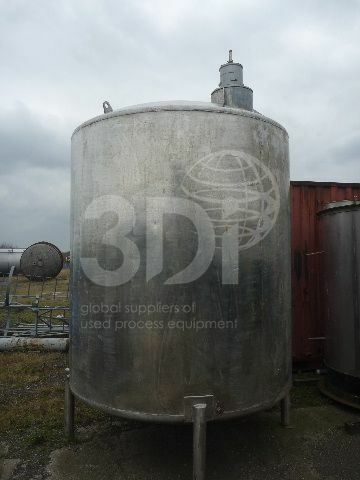 Used 6,000 Litre 321 Stainless Steel Mixing Tank. Orientation: vertical, cylindrical, dished top and bottom. Dimensions: 1830mm dia, 2000mm on the straight, 200mm dished ends. Connections: 480mm top man way, 40mm bottom outlet. Complete with an off centre twin bladed propellor agitator, 300mm dia blade and 4 stainless steel legs.